Didn't do much today. One of those days that feels negative as far as accomplishments. Usually I do something to satisfy my feelings of achievement. Who knows? The Secret of Life? ... It's there in the smoke. 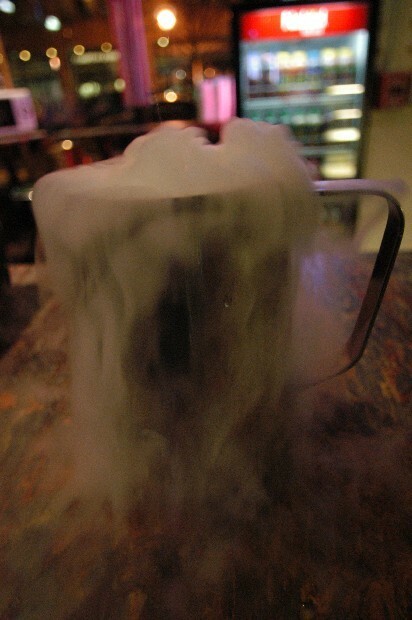 This is an aluminium pitcher of dry ice and hot water. Great for parties.